Sometimes, when you set out with plans and intentions, the road leads you somewhere else altogether, and you have to be smart enough to give in to what is happening. You have to let your expectations take a back seat, along with those cowboy boots you were wearing and that notebook full of outlines for the blog post you thought you would write. I met Laura from Touringnh.com later than we had hoped. My lunch ran longer than expected, with a gentleman who planted the seed of “design your next job or jobs that feed your passion,” hence the red cowboy boots and overdressed appearance for seeking out a remote woodland locale. We set off in her new Jeep. It isn’t yet outfitted for her usual excursions but was a perfect little rocket ship for our journey. Though we researched and searched, neither of us had come up with any clue to the mystery of why there was a place on the map called Hell Hollow, NH. As yesterday’s blog proved, the journey was more than payment for that little disappointment. We discovered wonderful architecture from over 200 years ago, in places that would have required a serious determination to reach that many years ago. As we zipped along in the jeep, I thought long and hard about how these colonies of people had traveled to come together and build a life. The relics of their basic lives are things like the covered bridges and mills, the homes they built and the beauty they left behind in simple daily solutions. 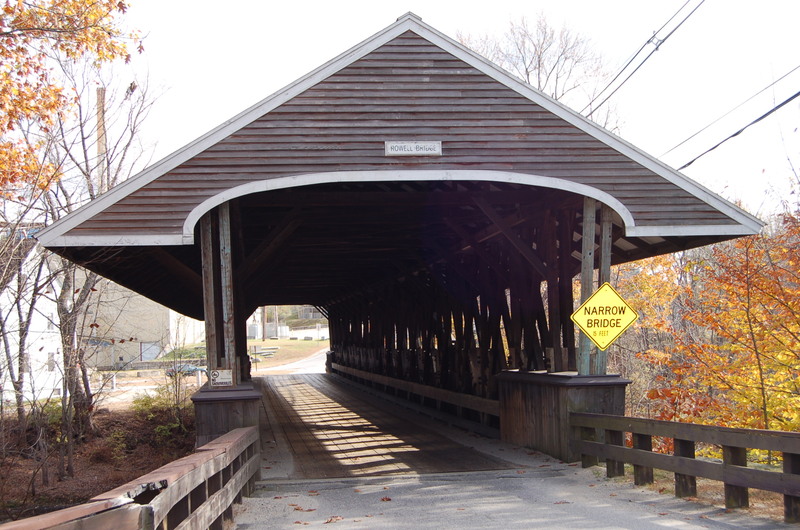 The first bridge we came to was in Hopkinton, before we ever got on the highway. It was a short, lively, open affair. 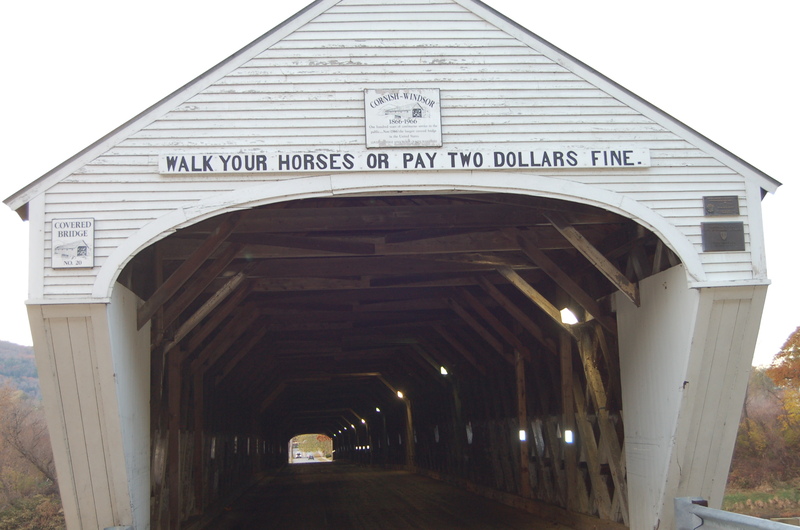 Still, no matter how many covered bridges I explore, I always think of horses clip-clopping across those boards with the hollow sound and the river rushing below. This bridge was very open to the elements, light and airy. Next was the bridge on “Blow Me Down Brook. This was an interesting piece of history. 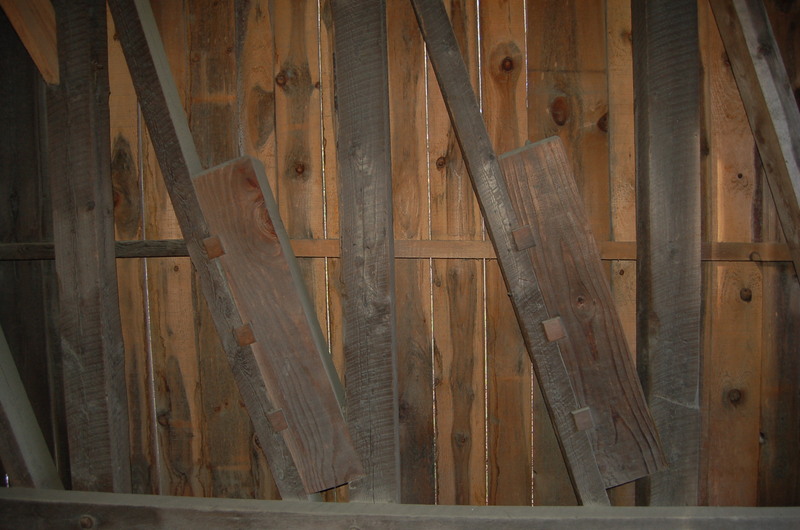 Apparently, the name “Blow Me Down” was bestowed upon not only on the brook, but this covered bridge and eventually a mill. 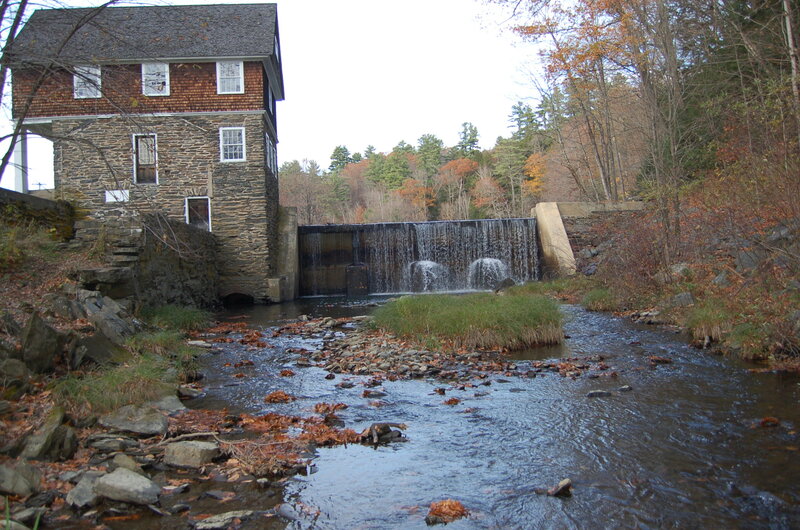 The official marker at the “Blow Me Down Mill” stated that it was a popular phase at the time, describing a state of amazement, “Well Blow Me Down.” I hope no one in the future comes across the “Where’s the Beef” saying and attributes it to our society. 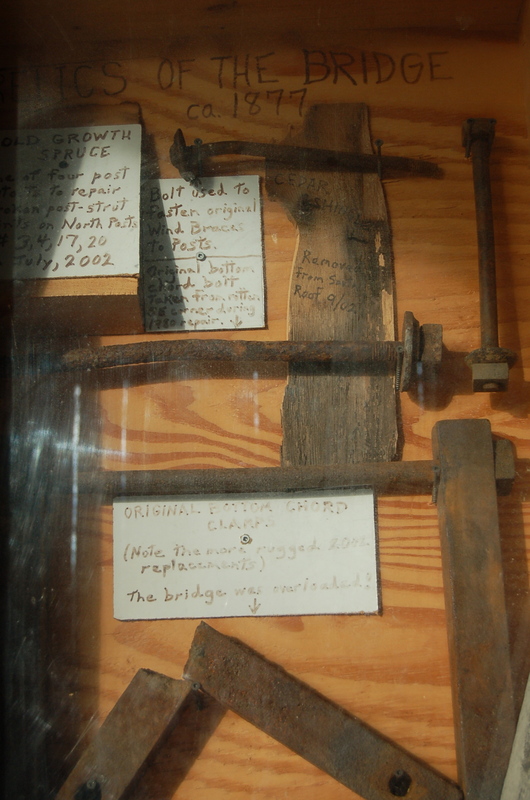 Extensive renovation of the structure occurred from 1980 to 2002 and there is a small tribute to this effort just inside the bridge in the form of a museum display of the parts that had to be replaced. A+ for effort, D- for display. 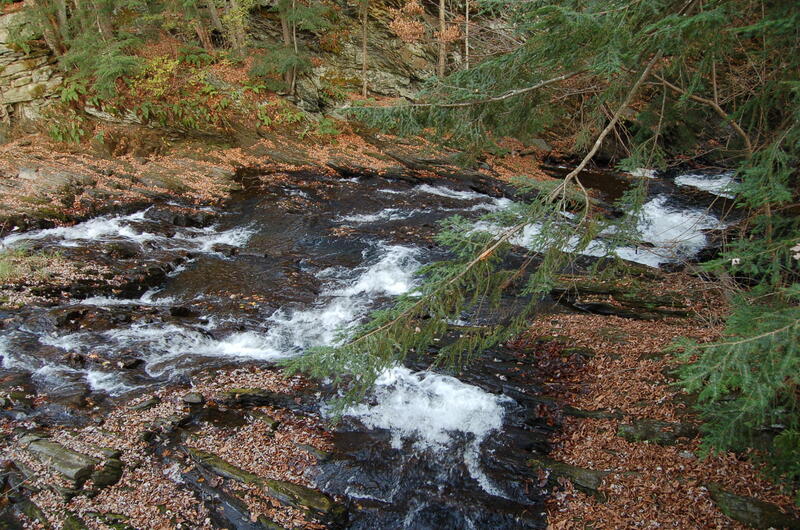 The Blow Me Down Brook itself is hard to photograph. 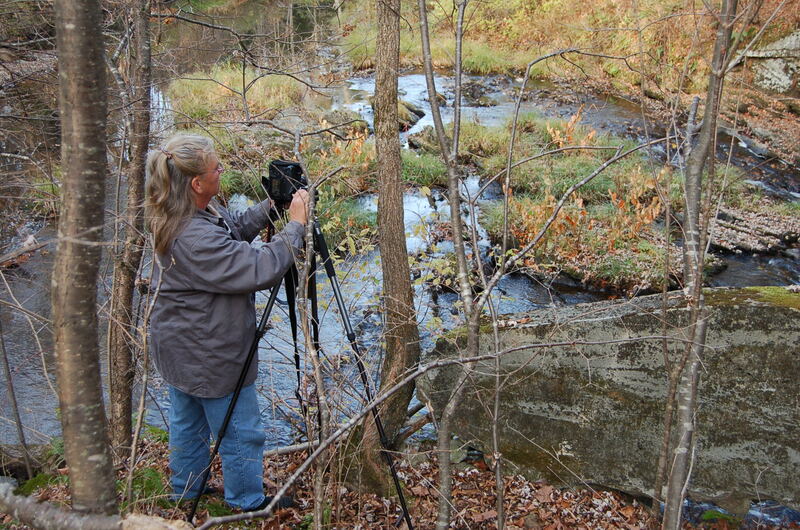 Even Laura had to work at capturing the serenity and energy of the water against the earth here. The beauty of Laura and her jeep, was the ability to turn on a dime and go back to something we had just whizzed by. 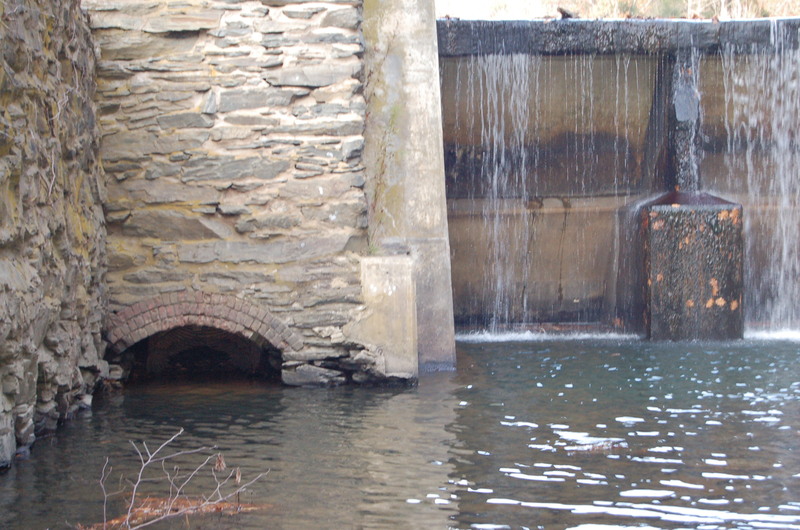 This is the Mill on the Blow Me Down Brook. 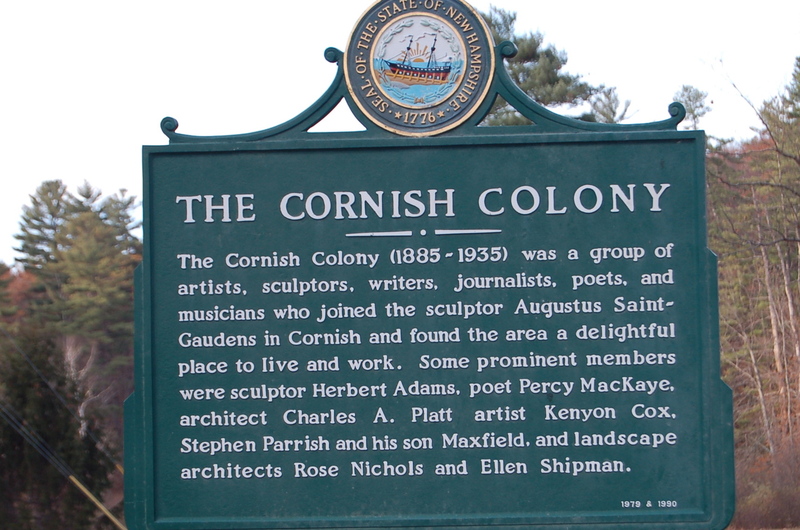 As the sign states, we have now entered Cornish, the hallowed haunt of many artists. 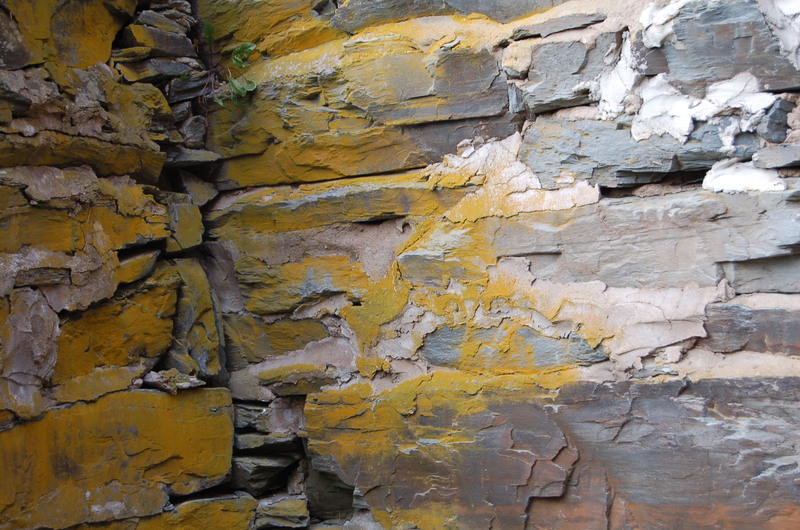 I was struck by the strange orange/yellow staining of the rocks and the ghostly image of the ell that has been removed from the original structure. We took a side detour to capture the sun lighting up the house at Saint-Gaudens. Laura had been to Cornish earlier in the month and wrote a wonderful post about this site. Our last stop, before the sun set, was the Cornish-Windsor bridge. 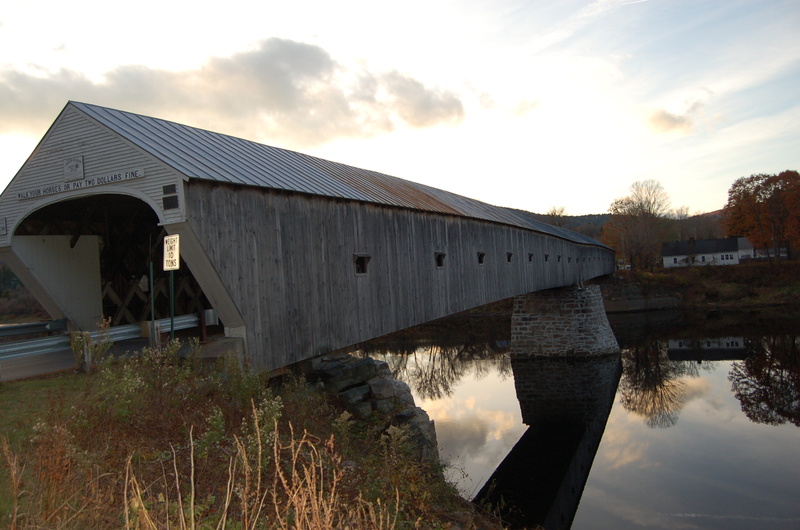 Built in 1866, this covered bridge is the longest in the U.S. and the second longest in the world at 460 feet. 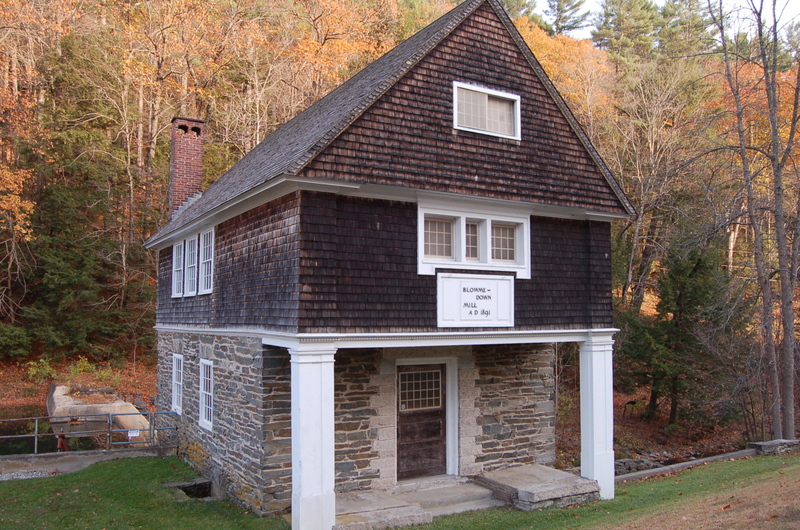 It spans the Connecticut River connecting New Hampshire and Vermont. This entry was posted in Uncategorized. 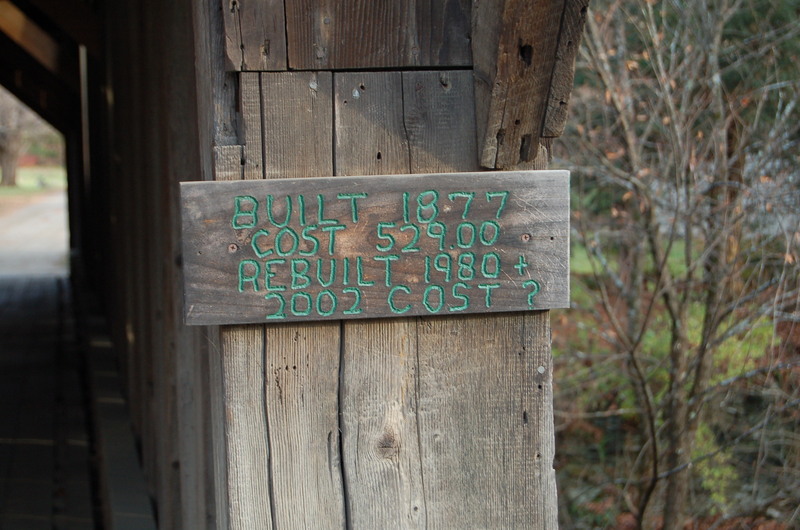 Tagged architecture, Blow Me Down Mill, Cornish NH, covered bridges, Saint-Gaudens, Touringnh.com, Travel. So cool! Love the architecture!! 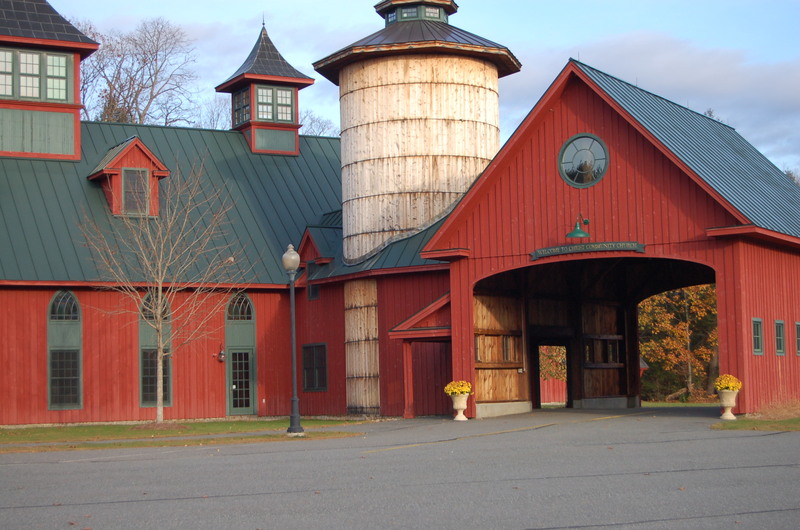 I love New England stone buildings and the covered bridges are one of my all-time favorite things. 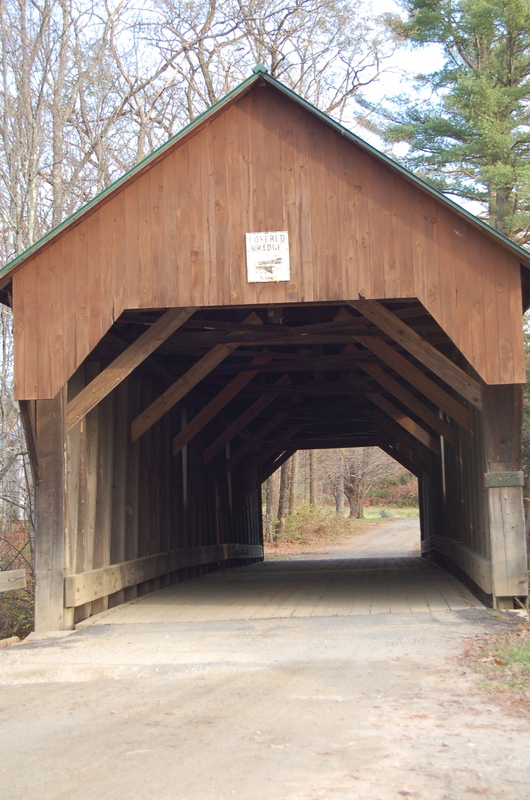 I have always loved covered bridges and like you I marvel at the engineering feat. These bridges have stood the test of time. If we still built things this way, we’d be a better society than the disposable one we’ve become. 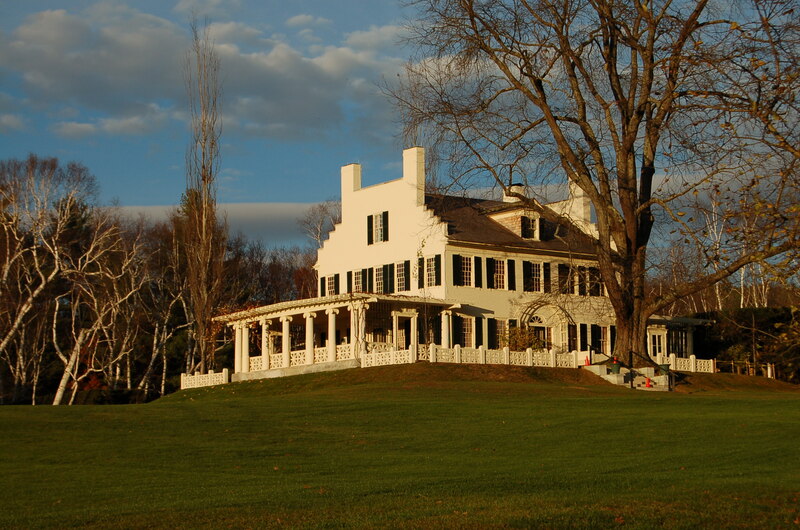 Love, love, love the photo of the house at Saint-Gaudens. Spectacular!! Looking forward to touring with you again soon! Thanks for taking in along, Laura! Perhaps HellHollow only appears around Halloween once every so often like Brigadoon!!!! Could very well be true. The road sign certainly doesn’t stick around for long! Covered bridges are something we don’t have here. They’re certainly very pretty and I’d think would be quite handy if it was raining. Hi Marie, they were essential to keep the bridges from freezing during the winter here. Lovely structures and a nod to the past. Thanks for following and commenting! Thanks for the ping-back. Loved reading your post!